I was hanging out with some of my dearest girlfriends the other night, enjoying a good glass of wine and chatting about the usual…husbands, travels, shopping, jewels and clothes. Mid conversation, one of my girlfriends asked, “Is it still a rule that you aren’t suppose to wear black shades with brown shades?” Can you guess what my response was?! FORGET THE RULES! 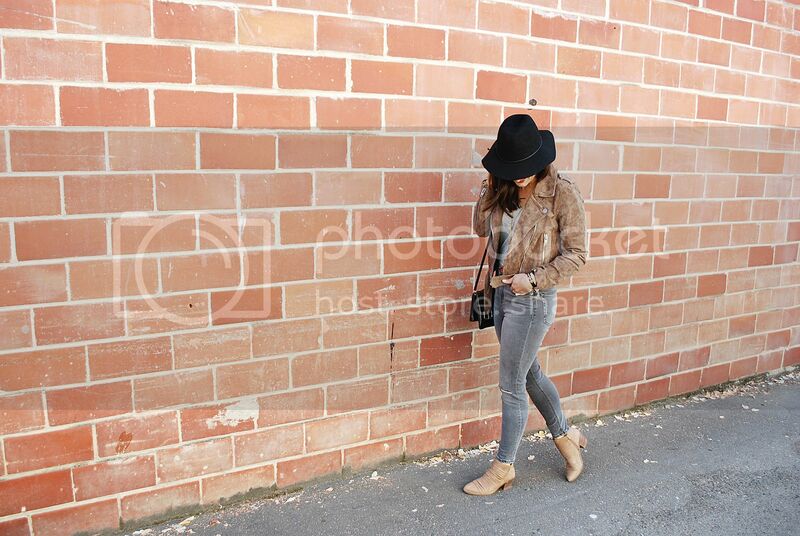 Actually, mixing neutral shades of black, brown and grey is a go-to easy look. 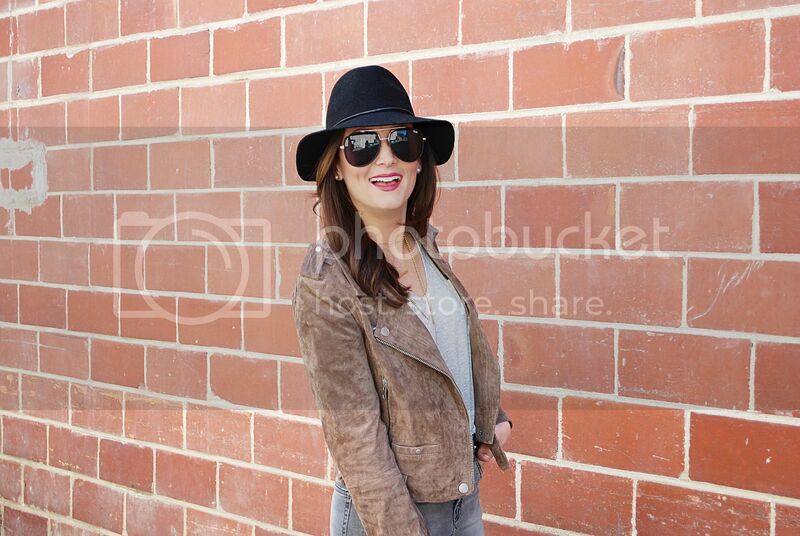 The neutral shades flow well together and you can add a pop of color with a bold lip or a fun accessory. I decided to style an easy look with a simple grey tee to prove my point. Mixing neutrals is WAY ok and SUPER easy. 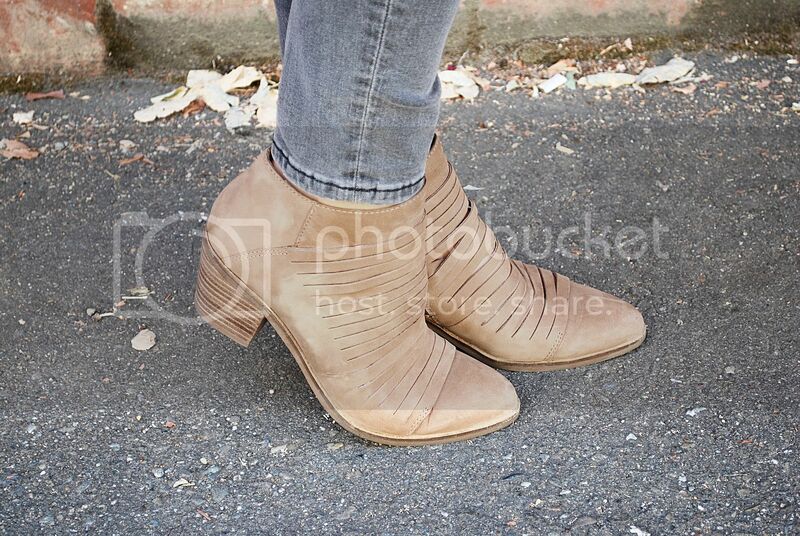 I’ve been wearing these Lucky Brand neutral booties on repeat this past month. They are comfortable, easy to walk in and match with everything. 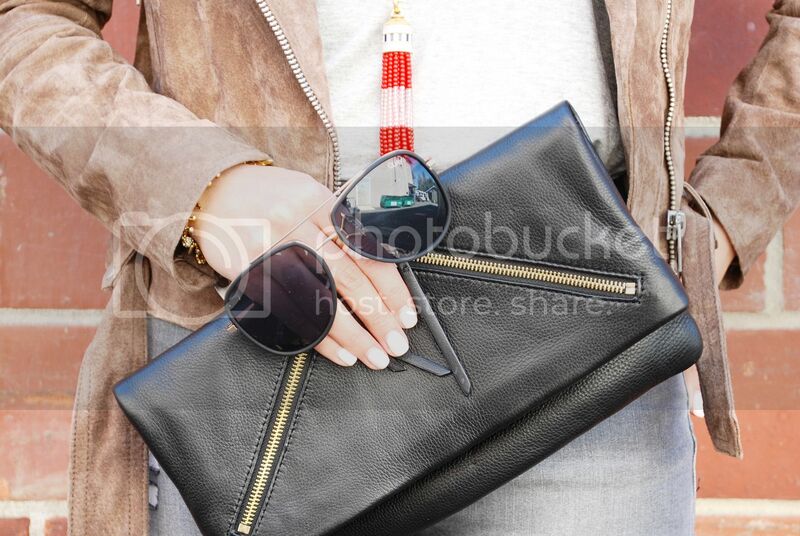 Introducing one of our new luxury leather bags by Stella & Dot’s newest line Covet. It can be worn multiple ways, as a crossbody or a clutch and is made with the softest genuine leather. Staple pieces like this bag are ones that you will use a lifetime and are worth every penny. 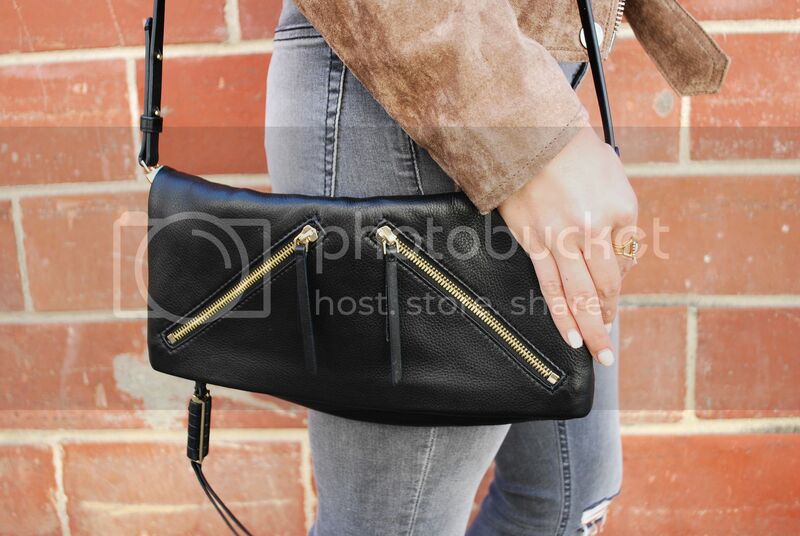 I’m pretty sure a gorgeous classic black leather bag like this one will never go out of style. This is my first official pair of high waisted skinny jeans and all I can say is, when I put these pants on I feel 5 lbs skinnier and 3 inches taller. I use to be so skeptical, thinking “I can’t rock those, I’m way too short”. Well, if you’re short and your thinking that too, forget about it. Go into a store and just try a pair of high waisted pants on. You don’t have to buy them, but at least try them on. Who knows, you might button them up and immediately feel like you are Gigi Hadid. 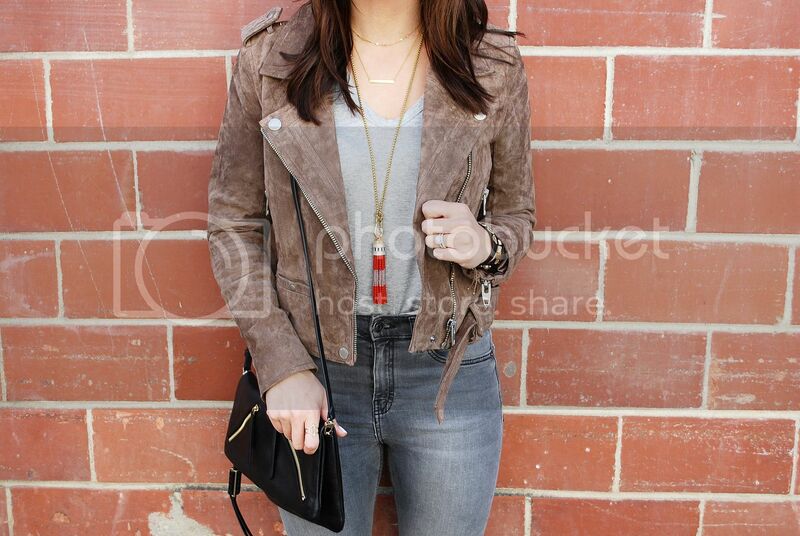 Layering jewels is one of my favorite looks right now. 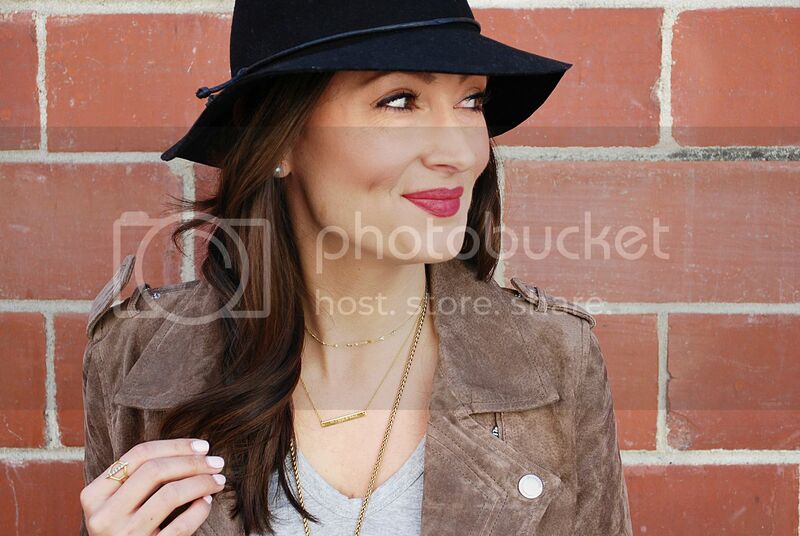 Can you spot the new piece from the Stella & Dot Holiday collection?! I’ll give you a hint. It’s that gorgeous simple chain gold choker. It also comes in silver and I’m calling it my holiday must-have accessory. Available now on my S&D website.